Elegant flowers frame your wording, becoming a beautiful expression of garden style on these reception cards. Design is printed in your choice of color. Your wording is printed in your choice of colors and fonts. 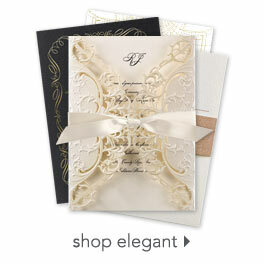 These reception cards are printed on 130 lb, white premium matte paper.